WHILL Model C, the multi award-winning powered wheelchair from TGA, has triumphed again with another prestigious accolade – the BHTA Independent Living Design Award 2018. Now in its 23rd year, the Independent Living Design Award is recognised by members of the healthcare trade as the flagship title that highlights the very best in innovation. Manufacturers, designers and retailers were invited to nominate products they believed to have significantly enhanced independent living. TGA entered its pioneering WHILL Model C with clear justification regarding how and why it has excelled in all award criteria. TGA’s success was announced at the BHTA’s annual black-tie awards dinner which was held at the Alton Towers Hotel, Stoke-on-Trent. 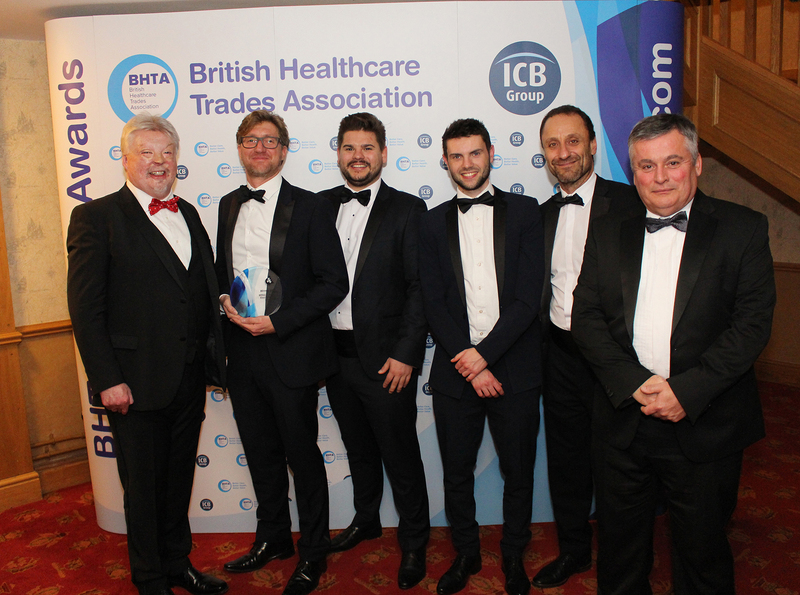 Simon Weston CBE, the inspirational host for the evening, presented the award to Daniel Stone, TGA Managing Director, alongside key members from the TGA team. Working on behalf of the BHTA (British Healthcare Trades Association), an expert panel of judges deemed WHILL Model C exceptional in terms of: Enabling independence, Improving quality of life, Innovation, Price accessibility, Ease of use and Aesthetic appeal. Exclusively supplied by TGA in the UK, WHILL Model C is unlike any other electric wheelchair. It can be dismantled into three manageable components for easy transportation and its omni wheels provide the tightest feasible turning circle for ultimate versatility. Combined with touch-sensitive ‘mouse style’ steering, remote control app and appealing aesthetics, the beautifully engineered WHILL Model C delivers a new level of self-assured independence. This BHTA Independent Living Design Award is the latest addition to WHILL Model C’s collection of awards which includes: the CES 2018 Innovation Award, If Design Award, International Design Excellence Award, Japan’s Good Design Award, ‘Best of the Best’ Red Dot Award (healthcare category) and TIME Best Innovation.